Pep Guardiola must have known deep down that a day would eventually come where his side would surrender their unbeaten streak. The Citizens had gone 30 league matches without defeat since the latter stages of last season but were punished by a rampant Liverpool side who, despite the absence of Virgil van Dijk through injury, managed to upset the league leaders. Manchester City have rarely found much joy at Anfield in recent years, as the iconic stadium's boisterous atmosphere tends to leave them a little jaded - something which happened again on Sunday afternoon. 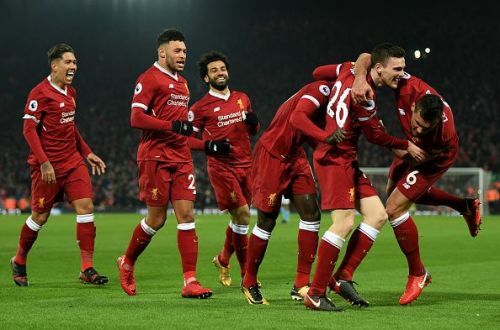 The possession statistics read 36% for Liverpool and 64% for Manchester City but the shots on goal favoured the Reds as they boasted 7 compared to City’s 4. Liverpool started like a house on fire, and promptly scored courtesy of Alex Oxlade-Chamberlain’s strike in the 9th minute. The Englishman was criticised for his move from Arsenal but showed exactly why Klopp shelled out £35m for his signature with an excellent opener. For the first 15 minutes, City were stifled and starved off the ball, with the likes of Kevin De Bruyne struggling to dictate the game at his pace. City lost for the first time this season, after 23-games unbeaten but the manner in which they suffered defeat could serve as the template for other teams going forward. Time and time again, Liverpool performed a high press that forced the league leaders into making mistakes. Liverpool manager, Klopp is the master of high pressing and his tactics were spot on on Sunday. They pegged City’s fullbacks in their own half, which was key given that the likes of Delph and Walker are key components of how they play. Crystal Palace had come close but ultimately couldn’t inflict the defeat the neutrals craved so much. Fans and pundits wanted City to lose so that doubts can start creeping into their belief. This season, City have been exceptional, dropping just 4 points in the first 22 matches but they met their match in Liverpool’s attacking trident of Firmino, Mane and Salah. All three scored and constantly tormented City’s defence, which didn’t have the composure we generally associate them with. Last month, Skysports pundit, Jamie Carragher criticised Newcastle for lacking the initiative to attack City, as the Magpies tried to contain them, only to lose courtesy of a Raheem Sterling goal, laid on by Player of the Year in waiting, Kevin De Bruyne. The likes of Sane and Sterling didn’t have much joy on the flanks as Liverpool’s full-backs constantly harried them off the ball. Except for the moment of brilliance from Sane to score the equaliser, the German youngster was kept quiet for long periods of the half. Liverpool’s midfield trio of Chamberlain, Can and Wijnaldum all interchanged superbly and were mobile, with the players covering for anyone who had bombed forward. While City will still win the league, a number of teams can point to Liverpool’s display and find encouragement. Teams have lost trying to play deep and counter them on the break, but risking everything going forward is the new solution. With City so comfortable in possession, opposition teams can press them high up the pitch, team up on De Bruyne and peg the fullbacks in their own half and perhaps City’s run of waltzing through matches could end. The rest of the teams should ensure they don't let City run away with it. The defeat shows City are beatable.